In stock -This product will ship today if ordered within the next 12 hours and 44 minutes. A combination of concentrated food grade oils which are freeze-dried and micellised to promote absorption and bio-availability. 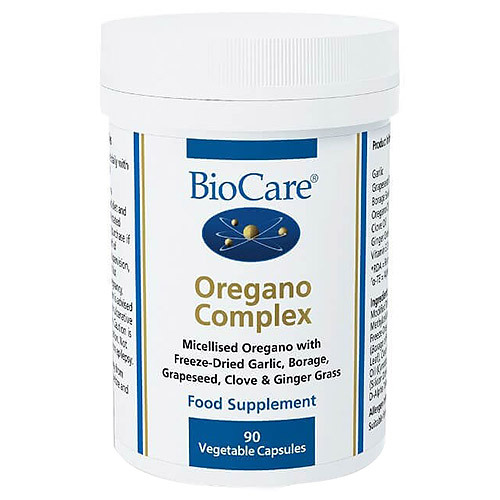 Oregano Complex provides Garlic, Grapeseed Oil, Borage Seed Oil, Oregano Oil, Clove Oil, Ginger Grass Oil and vitamin E.
Oregano complex is a combination of concentrated food grade oils. These oils have been freeze-dried and micellised to water-soluble compounds to promote absorption and bioavailability. 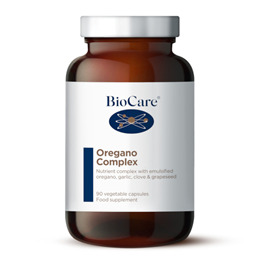 Oregano Complex provides multi-systemic and broad spectrum activity in a single capsule. Oregano oil may be helpful for stomach and gut health. Modified Tapioca Starch, Capsule Shell (hypromellose),, Grapeseed Oil (Vitus vinifera Seed), Freeze-Dried Garlic (Allium sativum Clove),, Borage Oil (Borago officinalis Seed), Oregano Oil (Origanum vulgare Leaf),, Clove Oil (Eugenia caryophyllus Leaf), Ginger Grass Oil (Cymbopogon martini Grass),, Anti-Caking Agents (Silicon Dioxide & Magnesium Stearate),, Vitamin E (as D-Alpha Tocopheryl Acetate1), Sunflower Oil. NB: Oregano Complex capsules should not be opened or chewed. Not suitable for use in pregnancy or if pregnancy is being planned. Not suitable for individuals with colitis, gastritis or ulcerative conditions of the stomach or colon. Not suitable for individuals taking anti-blood clotting drugs such as Warfarin, Heparin and Coumarin. Below are reviews of Oregano Complex - Plant Oil Complex - 90 Vegicaps by bodykind customers. If you have tried this product we'd love to hear what you think so please leave a review. 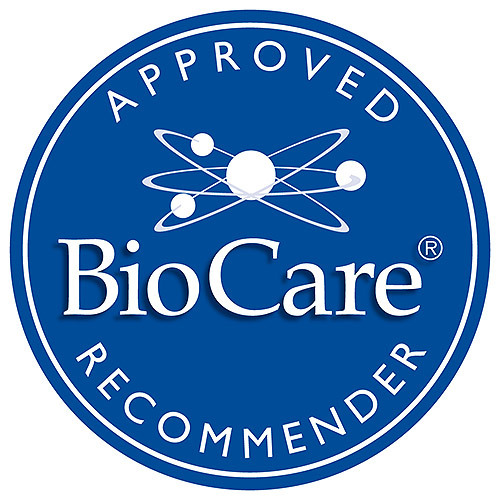 Oregano Complex is a combination of concentrated food grade oils which are freeze-dried and micellised to help promote absorption and bio-availability. Oregano Complex provides vitamin E.